Home / All / Fall Mini Sessions are Coming! 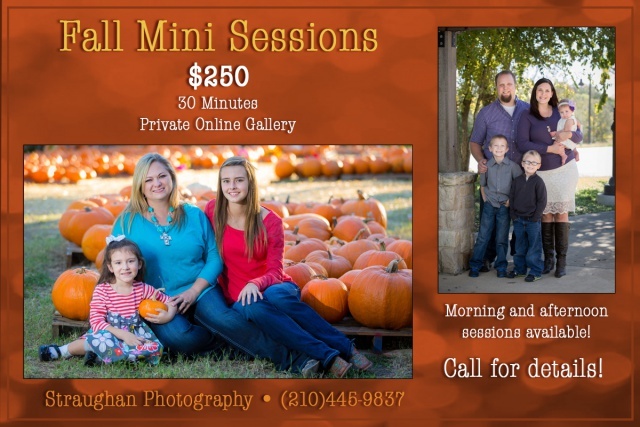 October is Fall Mini Session Month at Straughan Photography! The weather is getting cooler and the colors are turning, so what better way to celebrate the changing season than with a gorgeous outdoor session? With multiple days and locations, and sessions at the perfect price, all of our clients will be able to spruce up their walls with beautiful award-winning portraiture!